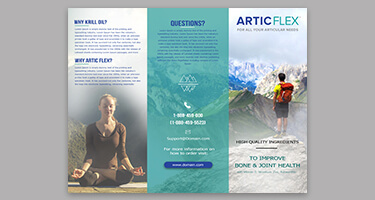 Brochures play an important role in marketing any business either it is related to your products or services. 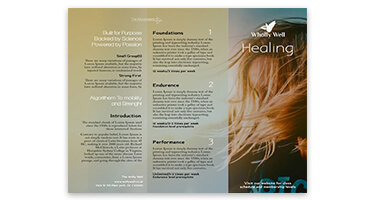 A perfectly designed and eye-catching brochure can attract customers at first touch point and also put a strong impression on the customers, partners and shareholders. Sometimes, business owners make a simple mistake by not getting their brochures designed by professionals that make an effect in marketing their business. Our team of highly creative and talented designers at DeDevelopers design brochures as per the client requirements with professionalism and high accuracy. They always keep in mind that different business has different designing requirements so they design accordingly. DeDevelopers LTD. is a Web Design company in UK that has a highly-skilled and motivated team of designers who create innovative and most attractive brochures at best rates. We always understand our valued customer’s needs first then provide highly customized designs according to their requirements. We also provide other services as well including character design services in UK, flyer design services in UK, Promotional stuff and many more. 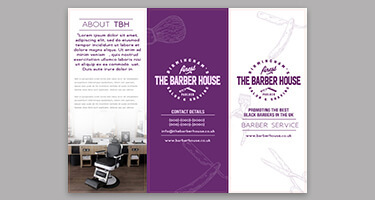 If you want to get an attractive and eye-catching brochure for your business from best web designers London, then feel free to contact us any time. Our mission is to help you in making your business more successful and more expedient.